Often associated with plantar fasciitis, a heel spur develops over a period of time as calcium builds up in layers in the irritated area. Even though they are sometimes painless, heel spurs must be treated by a podiatrist before they develop further. Dr. Gary M. Kazmer, DPM, helps eliminate the symptoms of heel spurs and provides strategies to prevent them in the future. 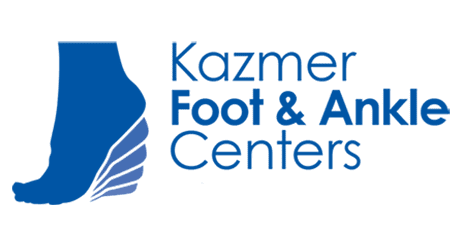 Choose from one the convenient locations of the Kazmer Foot & Ankle Centers in Elgin, Chicago, and Barrington, Illinois, and call or book your appointment online today. A heel spur is a calcium deposit that forms a bony growth. Sticking out from beneath the heel bone, a heel spur builds up over many months until symptoms occur. Heel spurs are so common that roughly one in 10 people have them on their feet and don’t even realize it. Those who do experience pain from their heel spurs describe the pain as something sharp sticking in the bottom of their foot. Heel spurs also cause painful plantar fasciitis symptoms to flare. What are the risk factors for developing heel spurs? The pain and symptoms of a heel spur are similar to other foot conditions. If plantar fasciitis is also present, getting out of bed first thing in the morning and walking can be quite uncomfortable. You may also experience swelling, redness, and warmth in the area. It can sometimes be difficult to determine on your own if you have a heel spur. Visiting a skilled, knowledgeable podiatrist who can take X-rays and perform a comprehensive exam is the best way to determine if heel spurs are present. Though surgery is also an option, it’s rarely used as a treatment for heel spurs. Dr. Kazmer believes in a conservative approach to foot care, only utilizing his surgical skills if there are no other options or when necessary. If you are suffering from heel pain and suspect a bone spur, call Kazmer Foot & Ankle Centers at one of our convenient locations, or schedule your appointment online today.